Do you need installation support? 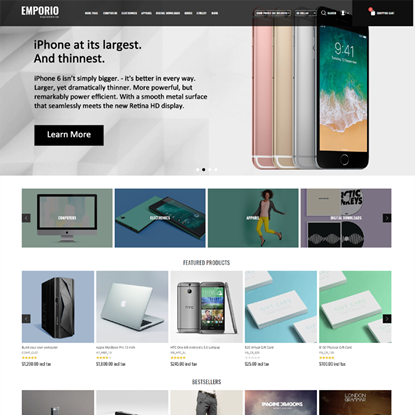 Emporio is a perfect stylized and SEO optimized theme for nopCommerce and has been tested on all major browsers and supports responsive layout. It offers a user friendly menu on both Mobile devices and Desktop. It also have clean CSS and HTML code that enables easy and fast customization. Theme is fully localizable and supports default out of box nopCommerce architecture. Default Clean Extended theme is a beautiful extension to nopCommerce Default Clean theme. We have added full width menu, full width sliders, changed colors and a responsive much user friendly mobile menu. This theme has been tested on all major browsers. 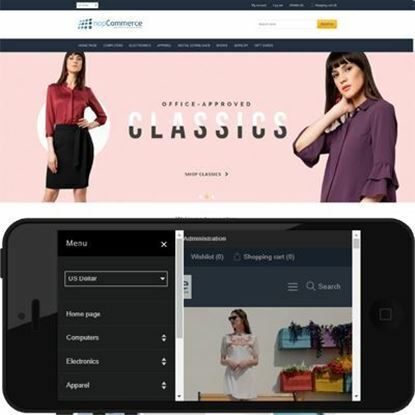 Theme is fully localizable and supports default out of box nopCommerce architecture. Copyright © 2019 NopAdvance. All rights reserved.